Welcome to the Devereux Center for Resilient Children (DCRC)! Our mission is to promote social and emotional development, foster resilience, and build skills for school and life success in children birth through school-age, as well as to promote the resilience of the adults who care for them. We accomplish this by doing research and producing resources for infants, toddlers, preschoolers and adults. And our partnership with Aperture Education brings social and emotional learning and resilience to school-age children. Some Gifts for YOU in Celebration of 20 Years! In case you haven’t already heard us screaming from the rooftops, we are celebrating 20 years of the DECA Program here in 2019. As a thanks TO YOU for being a part of it all, our team has put together some of our favorite resilience-building strategies! The Devereux Center for Resilient Children (DCRC) is proud to announce the release of the FLIP IT! Online Course, 2nd Edition. We are so thrilled about the upgrades to this course, as well as being able to offer this new edition for the lower price of $30/person. Purchase the course or try out our free demo today! "15 Easy Ways to Live a Happier Life in 2019"
This new year is rocking and rolling, and we hope that it’s off to a good start for all of you! To help you along, check out this article from Best Life, a sophisticated guide to culture, lifestyle, and living your “best life.” Included on this list of 15 are three tips from our own Nefertiti Poyner! 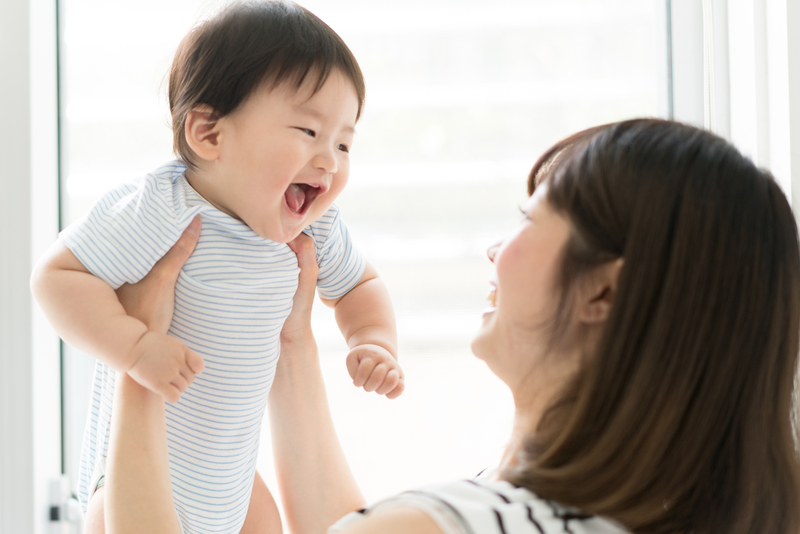 In early childhood, a child’s resilience and social and emotional health are directly influenced by the culture of the early childhood program they attend and the culture of their home. 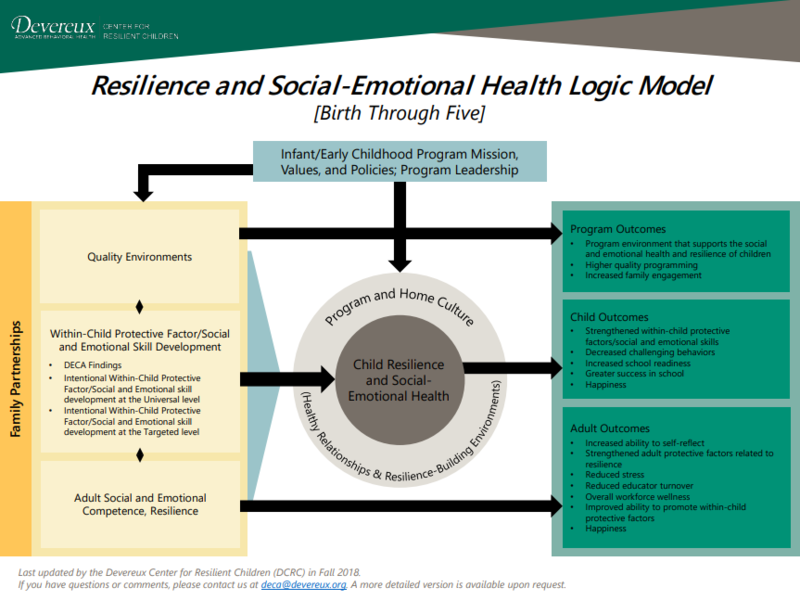 An early childhood program whose mission, values, policies and leadership support resilience-building cultures can promote child resilience in a number of ways. Learn more by having a look at the DCRC Logic Model!